If you are looking for a collection of wonderfully inspiring essays about the path of Sikh Dharma, then this book is for you. 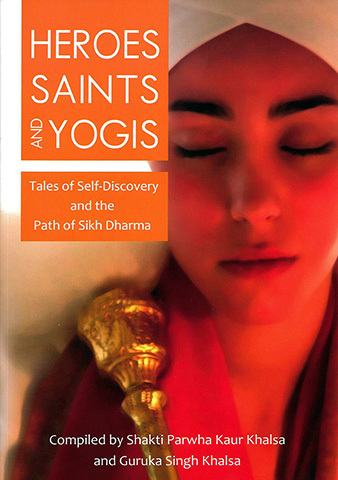 In Heroes, Saints and Yogis you will learn from Shakti Parwha Kaur and Guruka Singh Khalsa all about the history, practices and the connection of this path, through Yogi Bhajan's teachings, to the wonderful technology of Kundalini Yoga and Meditation. As in other spiritual paths and teachings, more often than not it is the tales, stories and historical perspectives which have such a huge capacity to open up the understanding and reach a deeper level of experience. This book offers, to all readers, the opportunity to look deeper into the spirit of Sikh Dharma and to learn much more about it. Shakti Parwha Kaur Khalsa was the first student of Yogi Bhajan in the United States while Guruka Singh Khalsa is the founder of Sikhnet.com and a poet and translator of the Siri Guru Granth Sahib, the holy book of the Sikhs. Walking the path of Sikh Dharma is a way of enjoying the adventures of life and solving the mystery of one’s immortal identity. It enables people to experience the best within themselves and others. Like all spiritual traditions, Sikh Dharma has its philosophies and guidelines, but it is a down-to-earth, practical spiritual path that anyone can follow and benefit from during their life’s journey.